On the evening of 6th December 2018 at least fifty people filtered through the appropriately refined, sleek and chic, gallery of the Minima furniture store in the Jewellery Quarter; to bag a copy of the Birmingham Modernist Map hot off the press. This was fitting testament to what had been an eighteen month long labour of love for staff and students at Birmingham City University’s School of Architecture and Design aided by designers An Endless Supply. Mike Dring (Senior Lecturer in Architecture and Chair of the Birmingham Modern Society) who led on the Project, introduced the map by stressing his hope that it’s completion marked the start of a new; more up tempo, phase in the city’s celebration of its twentieth century architectural heritage. A quick glance at the finished product is enough to confirm that it marks a firm foundation for future appreciation of the city’s recent built past. Intelligently structured around three walks easily legible and accessible to locals and visitors alike, the map, researched with Pevsner like precision; showcases the “top fifty” finest of Birmingham’s surviving buildings constructed during modernism’s unambiguous fifty year heyday between the 1920s and the 1970s. Stylistically the Birmingham Modernist Map harks back to the mid-twentieth century with some contemporary twists. It is produced pamphlet, or guide leaflet style, on hard wearing stock with a minimalistic front and back cover protecting the glossy pages inside. The pages within contain numerous brilliant monochrome images of the mid-twentieth century classics that map-holders are invited to tour. These images draw the eye and provide vital visual context, but the real capstone of the publication is the vital statistics for each structure recorded, listed in an easily accessible manner that recalls nothing so much as an “Eye Spy” guide for adults (making for an appropriately modernistic frame of reference). This format allows the author’s to unobtrusively, and non-judgmentally note; that a great many of the buildings listed have been substantially altered since they were erected forty, fifty or sixty years ago. The writer of this review, however; was struck to be reminded just how many outwardly contemporary looking buildings-notably for instance the Mailbox-in central Birmingham; are built around, and within; the core of older structures. Regardless, the map provides a brilliant window through which the long time resident, frequent observer, or casual visitor can explore the topography of twentieth century Britain. Beyond the opportunity to buy the map and peruse a further collection of limited edition photographic prints-by Mike Dring-showcasing modernist buildings in Birmingham, Minima as a venue was very much the star of the evening. What better location to encounter the design of the mid twentieth century than amidst minimalist, Scandinavian inspired furniture and utensils? This backdrop provided the perfect stage for Zygeratt to perform a solo set, brilliantly blending analogue synth and digital sounds. The overall effect was that of a dynamic, ethereal, yet still calming soundscape. One that was perfectly suited and brilliantly attuned to both the tenor of the event and the venue. There can be little doubt that the Birmingham Modernist Map will become a standard reference point for people interested in the city’s recent architectural past. They’ll hopefully be lots of work in a similar vein coming in the future. The Birmingham Modernist Map will be available to purchase through the Modernist Society online shop. For the latest in my series exploring urban historians at work today, I was lucky to be able to catch up Sam Wetherell (currently at UC Berkeley, soon to be at Columbia University). He explained how politics informs his approach to exploring and attempting to re-plot our understanding of urban Britain’s recent past and boldly grappled with one of most amorphous terms in contemporary social discourse: “neo-liberal”. I spent my formative teenage years living in Milton Keynes. During this time I did most of my socialising in the town’s shopping mall (now branded “thecentre:mk”), attending a comprehensive school that was formally sponsored by Yahama keyboards and living in a high density apartment complex called (wait for it) “Enterprise Lane.” In other words I have lived every word of my dissertation on neo-liberal British cities! I half-heartedly studied History at Oxford as an undergraduate, never really latching onto a topic that I loved. Afterwards I briefly worked for the Labour Party, before spending a year on a fellowship at Harvard. After another year spent in the wilderness, working at a second hand bookstore in Boston and then, later, for an unpleasant lobbying firm in the UK, I began my PhD at the University of California, Berkeley. I completed my dissertation this year and from next semester I’ll be working as a visiting lecturer in British history at Columbia University. I decided that I wanted to be an academic long before I decided that I wanted to be an urban historian. I’d always loved ideas and loved writing but for a long time I couldn’t work out what I wanted to study. For me there were two stages to discovering what I wanted to write about. First, I took an American urban history graduate class at Harvard with Lizabeth Cohen, which exposed me, for the first time, to people such as Jane Jacobs, Margaret Crawford, Michel De Certeau, and Mike Davis – as well the fantastic historical literature on American postwar cities (including Thomas Sugrue’s work on Detroit and Robert Self’s works on Oakland). Living in London and in Boston I was exposed to large cities for the first time and (probably naively) associated them with freedom and adulthood. The second important stage for me was discovering left wing politics and activism in my early twenties. In 2011 I returned to the UK after a year and a half in America to find a Conservative government in power and a sense of generalized post-2008 crisis. I became involved in groups like UK Uncut and tried to teach myself as much about economics as possible. I’ve tried to maintain a political perspective in everything that I do and it was the wedding of this new interest in cities with a new investment in politics at this crucial juncture when I was applying for graduate schools that really determined my topic and informed my last five years of scholarship. Like most graduate students/early career folks I’m left trying to carve out a theoretical niche on the back of a cannon of wonderful yet radically contradictory texts. In terms of urban history my go-to texts would be Carl Schorske’s essay on Vienna, William Cronin’s Nature’s Metropolis, Lizabeth Cohen’s work on New Deal Chicago, Doreen Massey’s For Space, Wolfgang Schivelbusch’s Disenchanted Night (the greatest history book ever written? ), David Harvey’s work on Paris and of course the wonderful first few chapters of Engel’s Conditions of the Working Class in England. All of these say different things at different political and theoretical registers but all would be central to any class I would teach on urban history! There’s that lovely line by John Maynard Keynes that we are all the slaves to some defunct economist. What I’d like to show in my work is how our daily lives unfold in cities and among buildings that were designed and built during times that are radically different to our own. That the houses we live in, the routes we take to work, the buildings in which we buy our coffee and our shoes, were often built by planners and architects whose political assumptions and anthropological claims have long since been deemed to be defunct. This seems obvious but I’m endlessly struck by the capacity of the built environment to freeze political moments in space and project them forward. What I love about the built environment is that it works at this meso level – between structure and agency and between high politics and spontaneous grass roots movements or individual instances of self-fashioning. Academically I hope my work allows people to periodise British history differently (escaping the endlessly rehearsed stories of 1945-51 and 1979-90). Politically I hope it offers an alternative (or at least supplementary) road map for political change – one that is isn’t trapped by the endless question of whether the left should throw its lot into the doomed process of winning un-winnable elections in a given nation state or the equally impossible challenge of forging a new hegemony or governmentality! My dissertation is ostensibly about the transformation of the British built environment in the last third of the twentieth century, looking at five case studies (or “pilot zones” as I call them): the enterprise zone, the national garden festival, the housing estate, the shopping centre and the business park. What I found while writing my dissertation, however, is that each of these case studies has a prehistory that stretches back well into the twentieth century, and sometimes beyond, and in each chapter I found myself writing as much about the pre-history of these spaces as about their actual emergence. I’m loathe to say exactly how I’m going to transform the dissertation into a book, just because I know it will change along the way, but at the moment I’m hoping to incorporate this prehistory and extend the thesis into a book about British cities from the late nineteenth century to the present. In the book I want to ask how we get from the individual home/house to the vast modernist housing estate to the private gated community. Next I want to ask how you get from the individual factory enterprise to the government managed trading estate to the private, suburban business park. Finally I want to trace the development of the unplanned sprawling high street to the state-planned shopping precinct to the private, out of town megamall. On a very general note: how have you found the experience of studying British history through a university in the USA? I have absolutely loved my time at Berkeley, to the point where people no longer let me talk to new admits who are considering coming (because I seem too optimistic and happy – and in America that’s saying something!). While the idea of flying across the world to study the place that you set out from seemed mad (and still seems a little mad) I think there is a lot to be said for studying Britain at a distance. Almost all of my friends or colleagues know almost nothing about Britain, so you have to think on a large, global scale to make your work relevant. Furthermore you are forced to study, teach and read hundreds of books, not just just about all of British history since 1688, but also a second field (in my case US history since European contact) too. There are definitely downsides too of course. Being forced to think big means you lose a lot of detail and sometimes end up getting excited about claims that are frustratingly self-evident to those working in Britain. I always love going to conferences and meeting other British historians working on cities and being amazed by the detail of their knowledge and how their work is made immediate and relevant by being immersed in the world that they are historicizing. Also, while the three-year programs in Britain (compared with the six-year programs in the US) feel rushed, you come out of it younger and fresher and with the job market being what it is, doing a 3 year UK PhD is less of a risk! What alternatives were there to the “neo-liberal” city in the 1970s and 1980s and why did these alternatives fail? This question cuts to the heart of the ceaselessly awful issue of how one defines neoliberalism. Is neoliberalism a set of policies implemented by governments in the 1970s and 80s? Or is it a hegemony or a rationality or even an epoch (like the Late Medieval period)? I think the term can be used productively to mean all of these things as long as we are clear what we mean each time we use it. I think a lot of the best theorists of neoliberalism (Michel Foucault, Stuart Hall, Wendy Brown, Pierre Dardot) would take the latter of those two definitions, and would answer your question by arguing that neoliberalism left almost no ideological room for constructing alternatives. If neoliberalism is a rationality, or a set of claims about the world that have become commonsensical, then it’s a difficult thing to oppose, act outside of and construct alternatives to. For this reason I might rephrase your question to ask what the alternatives were to the privatization and securitization of space and infrastructure, and the re-orientation of cities as engines for attracting global capital and rather than providing services. The clearest alternative to this was the built environment that emerged out of late nineteenth century liberal reform and twentieth century social democracy, in other words the built forms that were transformed and re-negotiated in the late twentieth century. I think many people who are (rightly) critical of British cities today look back on this moment as a time of decent, affordable public housing, subsidized municipal transport networks, unregulated public space etc… etc… and see it as a workable alternative to the present. I’m less sure. While our present cities are a disaster, we also know that the British social democratic experiment was deeply flawed. Economically it was predicated on US Cold War spending and the residues of an increasingly repressive imperial world system. It was paternalistic and at times inhumane, a terrible place to be a woman or a person of colour. Its survival depended on an international monetary system that no longer exists. While, in the 1980s, the alternative to the neo-liberal city may have been tower blocks, trading estates, and a nationalized train network, the left now needs a bolder, more globally orientated vision. This is something Stuart Hall was arguing 30 years ago in the Hard Road to Renewal. I would also challenge the idea that the mid century British city “failed” as an alternative model. One of the things I learned writing this dissertation was the extent to which the urban forms developed in the heyday of state planning went on to structure or thwart the late twentieth century city. Local authorities struggled (and often failed) to price and sell individual council flats on estates, for example, because they were plugged into comprehensive, holistically planned worlds. Meanwhile the first shopping centres in Britain were state-run affairs in towns like Coventry, built to try and re-centre British cities around ideals of public space and assembly. In this sense, rather than “failing”, the social democratic city was sublimated, reconstituted and repressed. For more about Sam and his work check out his UC Berkeley Department of History profile page and his Academia.edu profile, he can also be contacted through Twitter. For more urban historian profiles see here. For the latest in my series about urban historians at work today, I’ve been lucky enough to grab a word with John, the stalwart social historian who writes and curates Municipal Dreams. Municipal Dreams is a blog that explores the multifaceted, but generally very positive, legacy of activist local government in Britain. I was brought up in a small Norfolk seaside resort and enjoyed it but I was determined to experience something urban and grittier when the opportunity arose. So I did voluntary work on a Leeds council estate during my gap year and then headed to the University of Manchester where I studied History. I’d joined the Labour Party aged 16 in 1974 and I was lucky to be able to pursue my interest in labour history in some depth at Manchester. I followed this with a PhD in the Centre for the Study of Social History at the University of Warwick. After seven years straight HE – no fees, full grant (we were a lucky generation) – I was ready for something else so I worked in a couple of roles for Norwich City Council before taking a teaching qualification. I also served as a Labour councillor for four years. You probably already have the answer. Firstly, there are my politics. Secondly, there’s my education. My PhD was on working-class politics in interwar Birmingham and Sheffield (I spent a lot of time in the late, lamented Birmingham Central Library so it’s great to see that as the header image for this blog) and in both – Birmingham, Tory; Sheffield, Labour – you had councils determined to use the power of the local state to serve their communities. Since then we’ve seen the work of local councillors so traduced and the role of local government so diminished that it seemed vital to defend their record; not blindly, of course, as not everything done was wise or wonderful, but with a proper historical understanding of what was achieved and why things sometimes went wrong. The blog has a particular focus on housing and this has become incredibly timely. We could begin writing the epitaph of council housing from 1979 but recent and proposed legislation seems determined to kill it off once and for all or, at the least, so radically reduce it to housing of last resort that it seems to me really important to defend it and to present an alternative history – far removed from contemporary caricatures – which properly celebrates its positive and transformative role in the lives of so many of our fellow citizens. I’m aware that all this makes my work far more obviously and directly ‘political’ than that of some of your other respondents. I’d only say that, while the blog does have a clear political perspective and (I hope) message, I’m not interested in writing propaganda or polemic. It is, to my mind, precisely the nuance and rootedness of an historical approach that allows a proper and more persuasive case to be made. Are there any historians or other writers that particularly inspire your approach to your topic? Karl Marx. That may sound like a provocation but, as I think back to my formative influences and reading, I realise just how much I’ve taken from a Marxist approach – not the great man’s revolutionary aspirations and predictions, nor ever the practice of ‘actually existing socialism’, but the basic and profound insight that society and its ruling ideas are shaped (I would say ‘determined’) by the economic system of the day. Maybe this is now so commonplace a notion that our debt to Marx doesn’t need to be stated but it is an approach, I believe, that should inform the work of any social historian. And ‘class’ now – in always mutating forms – seems as powerful a determinant of people’s life experiences and opportunities as ever. As a teenager, I devoured EP Thompson’s The Making of the English Working Class – a wonderfully rich and humane book which added a cultural dimension to class and ideology which Marx’s more schematic approach largely neglected. I came of age in another era, a time when labour history was in vogue and ideas of class, rather than all the multifarious identities currently celebrated, were dominant. I’ve learnt a lot from the latter but I feel a sense of loss too. I worry that current preoccupations are too fragmentary and lead us to neglect the broader realities which still shape most lives. What kind of sources do you use to inform your work? Basically, as I range widely, I use whatever sources are to hand and the available sources tend to shape the approach taken to a particular case-study. Council records tend to be very dry, such is the nitty-gritty of local government work, but occasionally council publications will provide a more colourful and ‘political’ account of local reforms. The local press, particularly in its hey-day, often provided rich detail on local government controversies and achievements. The architectural press is often informative on particular schemes though overwhelmingly and narrowly design-focused. Sources recording the lived experience of ‘ordinary’ lives are still too rare but very valuable where they exist. In terms of secondary sources, I’m thankful for the work of the relatively few academics working in the field and very grateful to those doctoral students who have produced fine local studies. I’m grateful to various people who have written guest posts for the blog and I’d love to extend this so that it becomes a resource centre for everyone – academics and non-academics, local historians, people researching their own stories – interested in the field or with a history to share. At its most basic, a renewed belief in the positive and necessary role of the state in securing a fairer and more equal society and an appreciation of the enormously constructive role played by local government over many years. This, as the consistent failure of the free market to provide decent homes for all, makes clear is most apparent in the field of housing. At the very least, because I try to write to people across the political spectrum, I hope that readers come away with a more rounded and contextualised understanding of council housing – to see the ideals and ambitions which shaped it and the social and economic forces (rather than, in most cases, any inherent flaws in conception and execution) which have sometimes undercut those founding aspirations. More generally, the blog is an extended argument in favour of practical reformist politics and the slow grind of persuading people, winning elections and getting things done – ‘instrumental’ politics rather than the ‘expressive’, virtue-signalling and identity politics that is consuming many on the left at present. Over the course of your research have you come across any recurring difficulties or challenges that municipal reformers faced? Two connected difficulties confront municipal reformers and do so even more powerfully in the present: parliamentary sovereignty – that local government can only ever do what has been specifically authorised by Westminster, and finance – that councils have very rarely enjoyed the resources needed to execute their plans optimally. As a state and society, we have been consistently unwilling to provide the social investment needed to enable all our people to thrive. Local councillors can only ever work within this reality. Which of the municipal pioneers you’ve written about do you think we can learn most from today? Most councillors are barely household names in their own household so I’d really like to speak up for all the unsung councillors – of all parties – who have laboured long and hard doing the unglamorous but essential donkey work of local government. Of course I do have my heroes – Alfred and Ada Salter in Bermondsey, George Lansbury in Poplar and the rebel councillors of Clay Cross – but each were representative of a time and place and it’s hard to see their actions replicated in the present. However, I’d give a special place to Ada. Bermondsey pioneered health and housing reform – vital functions of local government – but for the Salters politics had a profoundly spiritual dimension expressed in their practical Christian socialism. Those who had created Bermondsey, in Alfred’s words, ‘did not realise that they had cut off the people from the chiefest means of natural grace. They did not appreciate the curse and cruelty of ugliness’. As a councillor and mayor, Ada established a Beautification Committee. It planted 10,000 trees and created pocket parks across the borough. In Fenner Brockway’s words, ‘Bermondsey became a place of unexpected beauty spots’. Labour’s election-winning manifesto in Bermondsey in 1922 proclaimed that it would ‘strive to make it a worthy home for all of us. This is our conception of the object and purpose of local government’. That – and the civic pride it speaks to – seems something to aspire to and emulate. Conversely which do you consider the most egregiously wrong-headed or damaging? That’s an interesting question and the easy response is to point to those councillors who oversaw the system-built high-rise debacle of the 1960s. Sometimes personal aggrandisement further tainted their judgement. T Dan Smith in Newcastle is the obvious example. And yet even here one sees an ambition to house the people and get them out of the slums and the pressures to do that from central government using ‘modern’ methods were enormous. 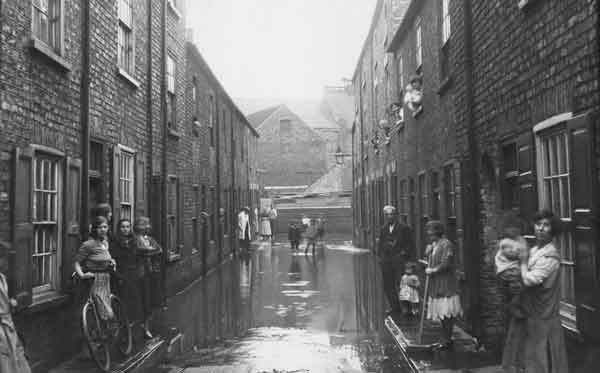 It’s easy to criticise some of the housing schemes of the sixties and lament the loss of the old working-class terraces (though we too readily forget just how bad the slum housing of the era was). In fact, the rehabilitation drive began in the mid-sixties and some of the best council housing ever was built in the seventies so, even here, lessons were learnt. For all that I defend local government, I’m horrified by some forms of current ‘estate regeneration’. The demolition of good homes and strong communities, as we see, for example, in Lambeth in the present (the Cressingham Gardens estate being a case in point), seems entirely wrong whatever the pressures to ‘densify’ and however justified by proponents as a means to build and finance new social housing. There’s a fine line between working a loaded system for progressive ends and complicity in that system and this, to me, oversteps the mark. Do you see any scope for comparable local action today? The opportunities for councils to engage in bold reform are very limited now given central government cuts and restrictions. Some councils are working imaginatively to build new social housing within the current hostile framework but it’s all necessarily legalistic and unheroic. Too often, councils are forced into unholy alliance with commercial interests and lack the acumen and clout needed to secure even the limited gains such deals are supposed to generate. We need to change central government policy and liberate local government to serve its people. And local councils must work with, be seen to genuinely represent, and mobilise their communities. In addition to his main blog, John also posts shorter pieces and pictures on tumblr. He can be reached via Twitter here.